The form factor is slightly different to the ‘tower type’ coolers that we are used to. 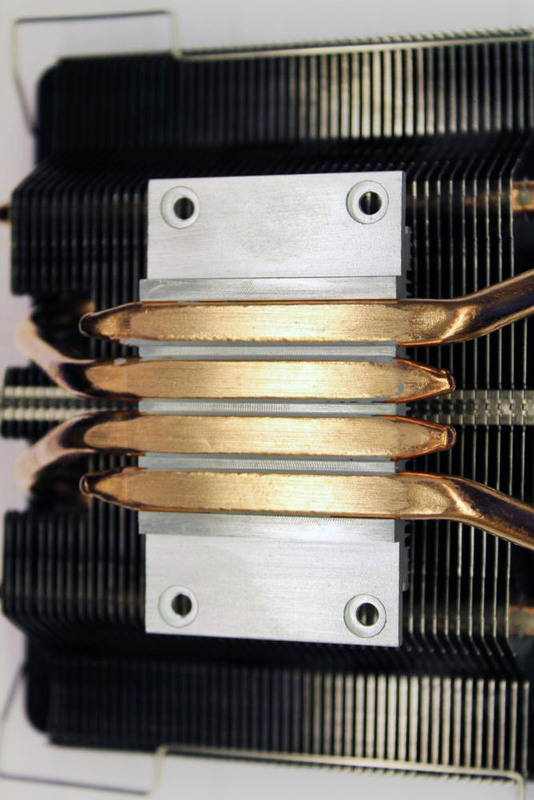 As a low profile cooler, the heatsink is spread out horizontally, often known as a ‘top down design’. 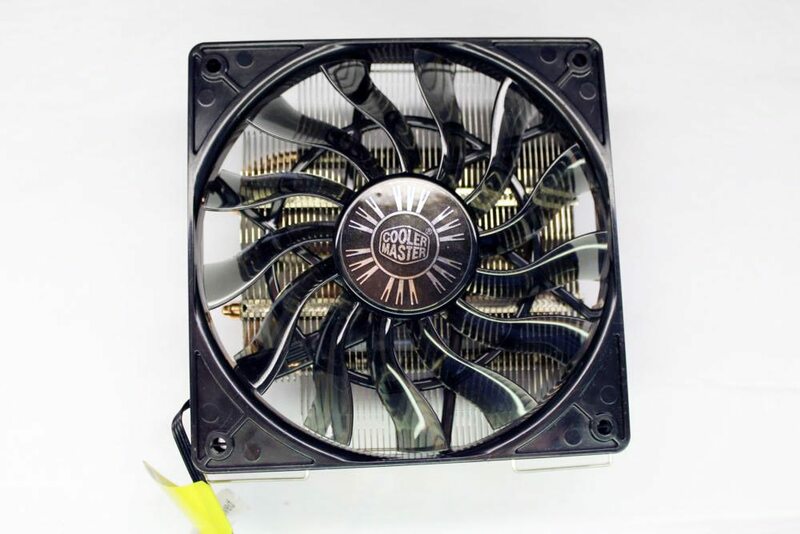 The fan is also thinner than standard 25mm ones a, coming in at 15mm. The 6mm heatpipes are laid out sensibly through the heatsink. With a slightly different layout on the other side. The base of the M4 is a heatpipe direct touch style base, which comes with some benefits – but a few downsides too. 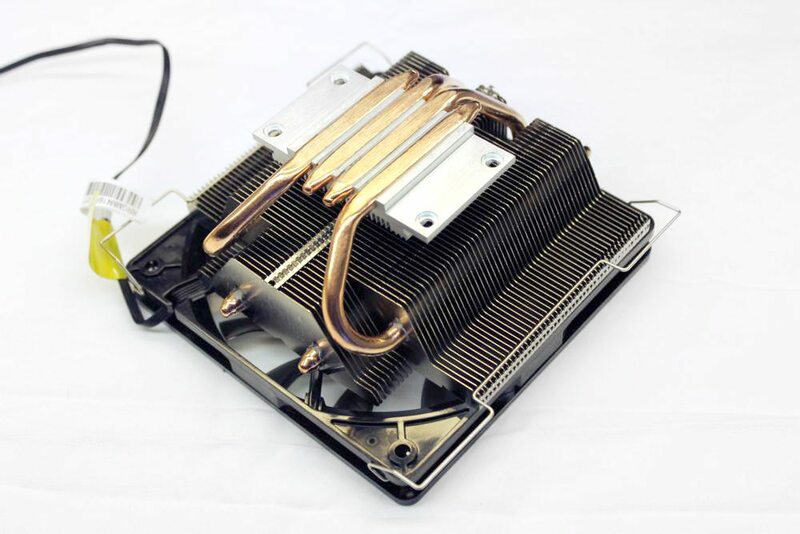 For example, having the heatpipe directly touching the CPU increases the efficiency of individual heatpipes. Instead of the heat having to travel through a base, then to the solder and then to the heatpipe. The downside is that because the actual CPU die is quite a bit smaller than the IHS (Integrated heat spreader, the top part you see of the CPU), the heat mostly comes from the middle of the IHS. 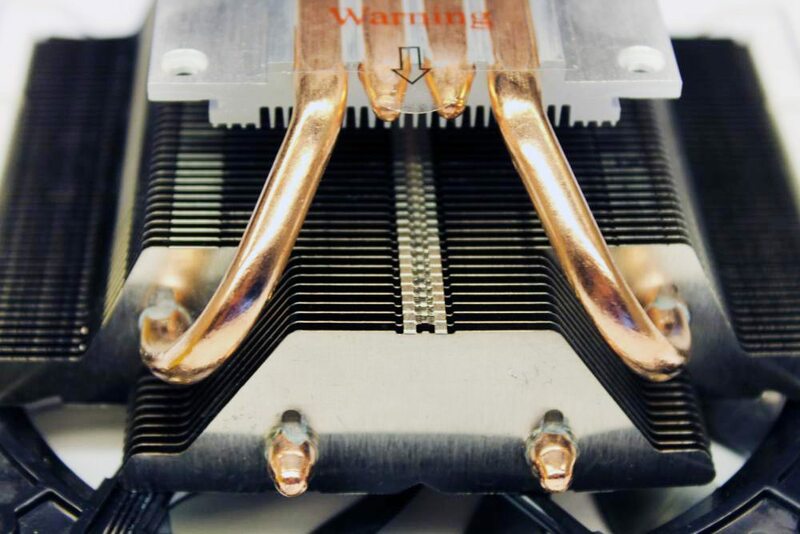 This means the heatpipes nearest the core do most of the work, leaving the outside ones with less to do, decreasing overall performance. This is where a soldered on base helps to spread the work between heatpipes. The core was flat and well machined. 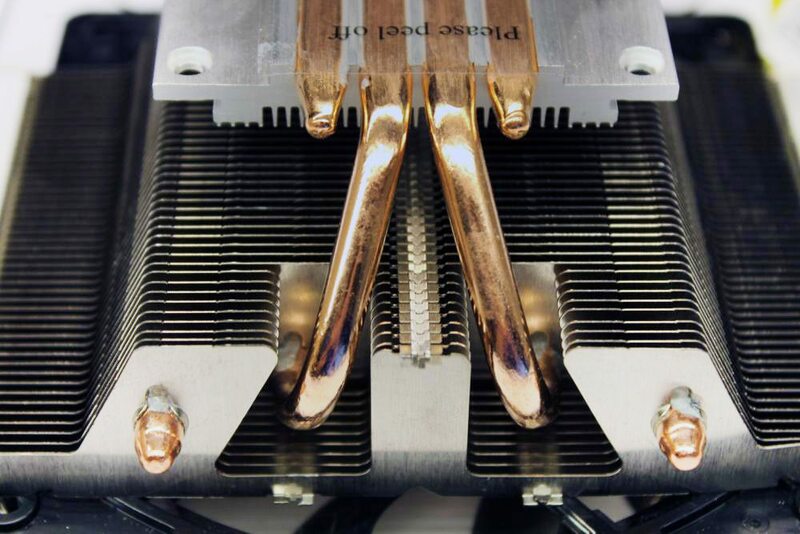 This cooler is really thin, making it very useful for high end HTPC users.